A natural born storyteller, Aimee Lewis has been helping organizations further their missions through earned media, social media, publications development, media buying, direct marketing and communications support for nearly two decades. With an extensive background in higher education, independent education, and government crisis communications, she understands the unique needs and challenges facing non-profits, associations and other groups that rely on aligned communities for their success. 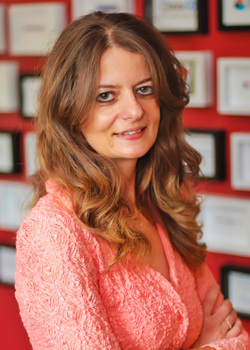 Aimee has held marketing, communications and digital development positions with the University of Rochester, Oak Ridge Associated Universities, the University of Tennessee, Dickinson College and The Harley School. An active member and past president of the Public Relations Society of America (PRSA), Aimee has also served as an officer for the Greater Rochester Association of Private Schools, and and executive committee member for the Council for Advancement and Support of Education (CASE). She is a trustee of the Fairport Baptist Homes Foundation. Her work has been recognized on both local and national levels by CASE and PRSA, and she has been a featured speaker at both associations' major U.S. conferences.